Celine Dion has announced tour dates for 2019 and 2020. 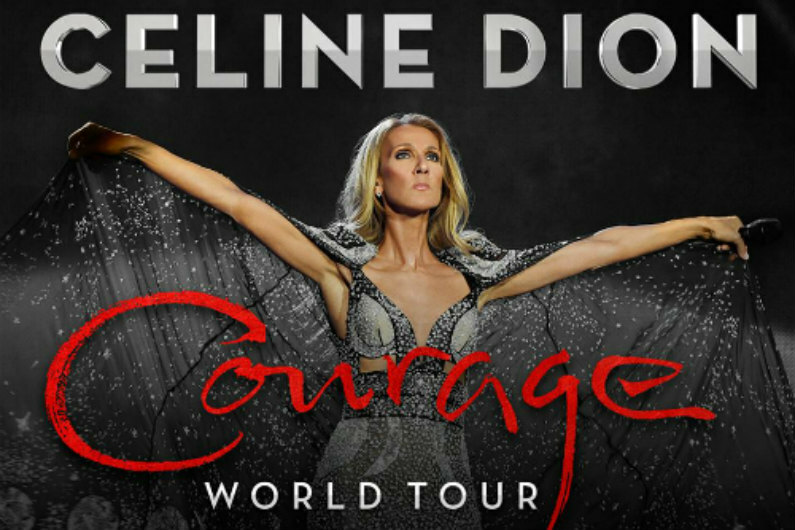 The tour will be in conjunction with her upcoming album, Courage, which is scheduled to be released in November. I'm so grateful to all the fans who have come to see my show in Las Vegas for so many years, and now I get the chance to create a brand new show and bring it to them in North America, and around the world. I'm very excited about this tour, and my new album...coming later this year. When do Celine Dion 2019-2020 tickets go on sale and what is the presale code? Tickets for her previously announced shows are now on sale. For the new dates, the general public on-sale begins as early as April 12. Presales for VIP packages, fan club, and American Express cardmembers will begin on April 8. Ticketmaster, SiriusXM, and local venues / radio presales will follow. The fan club presale password is COURAGE. The SiriusXM presale password is SIRIUSXM. The AEG presale password is HEART. You can also try the password POWER. For the AmEx presale, you can use the promo password INGOLD, but you will need the card to complete your purchase. Keep in mind, each date is different and details are subject to change. Click through the individual concert links for more information about the show you're interested in. We recommend following Celine Dion on her social media accounts and signing up for her free email newsletter (bottom of page), in addition to checking your local venue’s social media and email subscription service, to get the most up-to-date information. For concert tickets and more, check out Celine Dion's Zumic artist page.